If you have not watched Eric Bledsoe play this year, you should. He is 6 plus feet and 200 pounds of boundless athleticism and electricity. He routinely blocks big men at the rim. Can throw tomahawks in traffic. All he is missing is a cape before we see him teaming up with Iron Man and the gang in Avengers 2. In Parsons they get a big upgrade at the three. Parsons is a above average spot up shooter, an active cutter, willing defender, and the kind of player who should benefit greatly from playing with Chris Paul. Royce White is an intriguing prospect who may not help this year, but if he gets his off-court issues under control has the promise to be a dynamic player. Aldrich is an expiring contract. The Rockets turn their gluttony of young power forwards (Morris, Patterson, White and Jones) into Bledsoe, who will play sixth man for now but can eventually take over at the point if Linsanity proves to be a flash in the pan. Losing Parsons hurts, but at least they get an able replacement in Butler to continue a playoff push. Clippers get an all-around big man in Marcin “The Polish Hammer” Gortat, who can spell Blake and DeAndre and also finish games in place of Lamar Odom. In Dudley they get a great Three and D guy, who has the versatility to play the two or three. For the Suns they continue to rebuild, grabbing a budding star in Bledsoe. Incumbent PG Goran Dragic has the height at 6’3″ to play the two and form an intriguing backcourt for the future with Bledsoe. Butler does not really help them here, but is needed for salary cap purposes. You know the Mavs want to do this. They get a potential building block in Bledsoe to form an intriguing core with Dirk, OJ Mayo, and a free agent signee such as Josh Smith or Dwight Howard. As for the Clippers, they get two veterans who still have a ton left in the tank in Marion and Carter. Marion is still an excellent defender who can help slow down Durant in the playoffs. Carter provides a nice swingman who can score from midrange and outside and play above average defense. They may be hesitant to do so, but the Clippers could close games with CP3, Jamal Crawford, Vince Carter, Marion and Blake. That is a pretty scary offensive team. 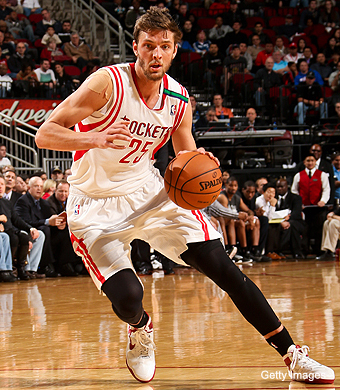 The Clippers add another dynamic scorer to their roster to help shoulder some of the offensive creativity from Paul. Granger can space the floor, score in isolation, and help anchor the team whenever Paul or Griffin sit. 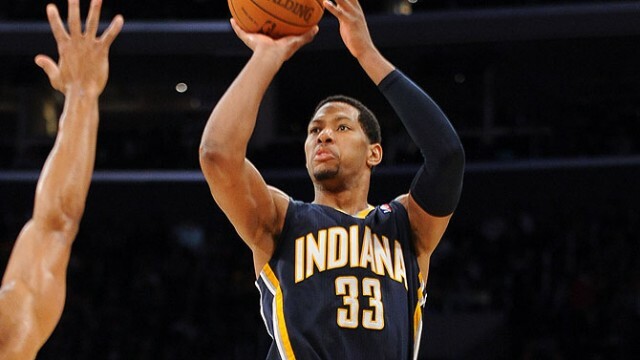 As for the Pacers, they have moved on without Granger and can use the depth this trade would add. Bledsoe can enter the starting lineup, alongside Paul George at the 2 and Butler at the 3, and allow George Hill to be the sixth man. This adds a lot of firepower and athleticism to a Pacers team that badly needs both. Very similar to the trade above. The Clippers get a fantastic all around player in Deng who can do all of the little things around Blake and Paul. As for the Bulls, they clear some cap space long-term by replacing Deng with Jimmy Butler in the foreseeable future, and get Bledsoe to wreck havoc in Thibodeau defensive scheme. This deal may require a third team to take Butler for an expiring contract.